“It’s nice company to keep, and a reminder of how success comes in so many professions and geographies," Finucane told Know Your Value. It has been quite a week for Anne Finucane. 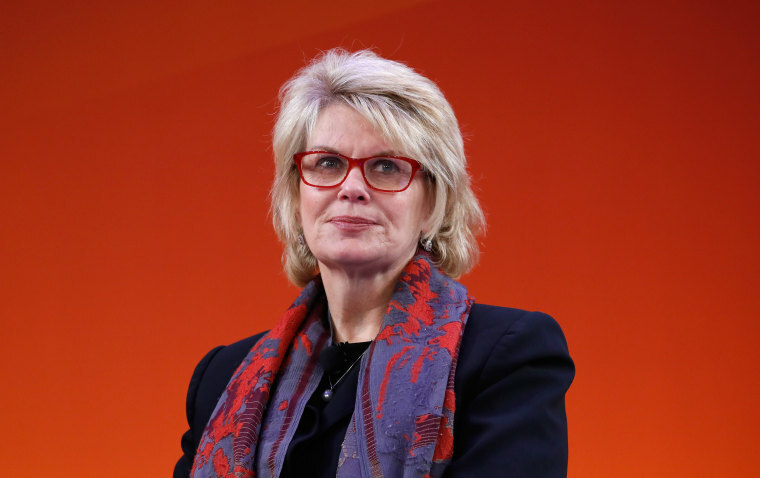 Monday marked her first official day as chair of Bank of America Merrill Lynch Europe – a role she was named to earlier this year – and on Tuesday, she was named to Forbes’ 100 Most Powerful Women List. The top five on Forbes’ Most Powerful Women List reflect Finucane’s point: No. 1 is German Chancellor Angela Merkel, followed by United Kingdom Prime Minister Theresa May, managing director of the International Monetary Fund Christine Lagarde, CEO of General Motors Mary Barra and CEO of Fidelity Investments Abigail Johnson. In the European role, Forbes added, Finucane “is tasked with navigating a post-Brexit world for the bank” and is responsible for overseeing £30 billion in assets and business operations. Finucane is also passionate about helping the next generation of female entrepreneurs. Earlier this year, she launched the Bank of America Institute for Women's Entrepreneurship at Cornell University, a free online course taught by Cornell faculty to help students gain the skills, knowledge and resources necessary to build, manage and scale a successful business.